My June class will be lots of fun as we create dream catchers out of a unique plant pod called a devil's claw. 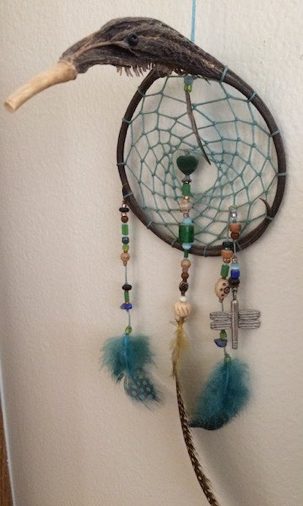 Bring your favorite beads, feathers, and charms to embellish YOUR dream catcher. I will provide the pods, linen thread (many colors available), some embellishment items, and instruction. Class size is limited to 12 students. LOCATION: Holland Community Center *It’s a beautiful, relaxing drive! You may complete your registration and pay for your class with your Credit Card via the Holland Community Center website. You may also call (480) 488-1090 or drop by the Holland Community Center to register in person. Click HERE to register online and for more information about the Holland Community Center. NOTE: You are not registered until your payment has been received. Add your name to the wait list?